Apr. 13 – As the large multinational multi-brand retail giants such as Walmart, Carrefour and Tesco wait patiently for a relaxation of Indian investment laws into the sector, Walmart is potentially stealing a lead by exploring possibilities of getting into the same market, but online. The company, looking over its shoulder at the success of Amazon, is keen to develop its own brand into online retailing and has been hiring market specialists in India to look at the feasibility of the business model. E-commerce is an active space in India, and Amazon has already entered the market with their jungle brand. Interestingly, foreign investment into e-commerce in India can be made via the so-called “indirect” route, which does not require Reserve Bank of India approval, although there are restrictions on trading with the exception of the B2B market. Walmart does operate stores in India, but due to FDI restrictions it does so with a local partner Bharti, operating 17 stores with annual revenues of US$1 billion. Nevertheless, the e-commerce route appears another way in which savvy foreign investors may be able to develop brand awareness and additional income streams in India. 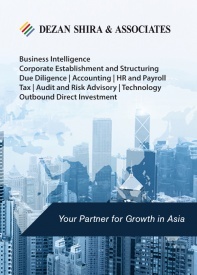 Dezan Shira & Associates is a boutique professional services firm providing foreign direct investment business advisory, tax, accounting, payroll and due diligence services for multinational clients in India. 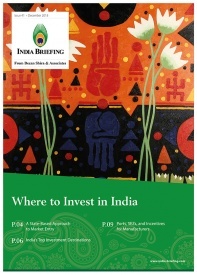 For more information, please contact india@dezshira.com, visit www.dezshira.com, or download the firm’s brochure here. 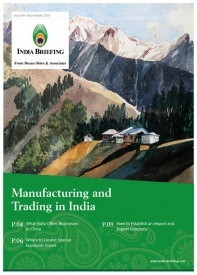 This book aims to provide a basic overview of all topics related to doing business in India – history, business etiquette and culture, and how to invest into the country, in addition to a detailed, state-by-state demographic and geographic overview and a comparison with China. 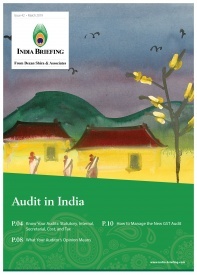 Asia Briefing devotes this issue of China Briefing to providing a practical comparison of taxation throughout Asia. 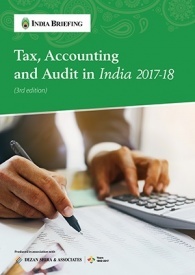 In particular, this issue takes a look at the taxes most applicable to foreign businesses and individuals in Asia, i.e., corporate income tax, value-added tax, goods and service tax, standard tax on dividends and individual income tax.